Ontario teacher contract talks: What are the key issues? Find yourself asking why teachers in Ontario might not be in school this fall? Here's a breakdown of the sticking points in their negotiations with the province. With just a few weeks left before school resumes and all the major teachers unions talking about various forms of strike action come September, the first signs are emerging that deals could be within reach. Two of the largest unions have agreed to resume contract talks. And Education Minister Liz Sandals has gone from merely saying she's hopeful to offering a tangible reason for hope. "We're not long, long distances apart," Sandals told me in a scrum at Queen's Park before the cabinet meeting on Wednesday. "We've done a lot of groundwork with some of these unions already so that we know that we're not a long way apart." I asked Sandals which unions she was talking about. She declined to say. But this is the first time in this round of negotiations that there's been even a hint that any of the teachers unions could be anywhere close to a deal. These talks are particularly complicated because it's the first time that the major money-related issues such as wages and class sizes are being negotiated on a province-wide basis. Each union is negotiating separately. They're trying to reach an agreement with the provincial government, which is joined by the school boards, represented by the umbrella groups, the Ontario Public School Boards' Association (OPSBA) and the Ontario Catholic School Trustees Association (OCSTA). All the talks are supposed to be under a media blackout. But based on what has been leaked, and on what some union officials, the government and the school boards have said in their less guarded moments, here's a look at the key issues at the bargaining table. Members: 50,000 teaching staff at all grades in English-language Catholic schools. Overview of talks: Things weren't looking good in early July. OECTA walked away from talks with the government and the Catholic School Trustees Association, saying it wouldn't accept "attacks on its collective agreement that would adversely affect student learning conditions and the working environment." But things changed after the meeting Premier Kathleen Wynne held with all sides in late July. 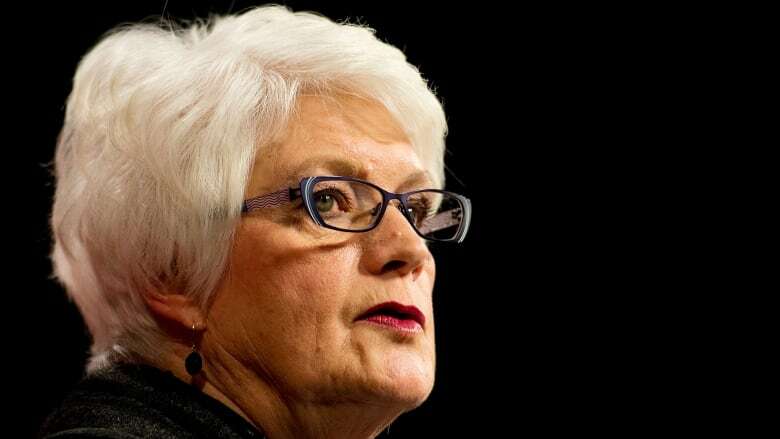 OECTA president Ann Hawkins described it Wednesday as a "very productive conversation" and said it led directly to the talks resuming this week. Negotiation dates: Negotiations were held on Aug. 12-13, and further talks are scheduled for August 20, 21, 24 and 25. That's a sign of progress. Sticking points: Neither side has revealed much about the negotiations. OECTA has talked of "profound cuts to our collective agreements" but has declined to be more specific than "working conditions" and "being expected to do more with less." Notable quote: "I'm very hopeful that the fact that we are actually heading back to the bargaining table for the next two days and [possibly] more days obviously is an indication that the government and the trustees are ready to sit down and try and hammer out a really good deal." - OECTA president Ann Hawkins (Aug. 12). Status: OECTA will be in a legal strike position on Aug. 17. Members: 60,000 (mostly public secondary school teachers, but also some support staff). Overview of talks: The union returned to the bargaining table on Wednesday and struck a deal Thursday. The province's call for "net zero increases" to salaries. Any wage hikes would have to be offset by wage savings, such as days off without pay. A push for more flexibility on class-size caps. School boards want more wiggle room to exceed contractual limits on the number of students per class. Notable quote: The OSSTF deal could help clear the way for agreements with the other unions, but "there are some different issues at the different tables." - OSSTF president Paul Elliott. Status: A tentative deal was reached Thursday. Members: 76,000 (mostly elementary teachers in the public system). Overview: The Elementary Teachers' Federation of Ontario laid out extended work-to-rule plans Thursday. It said teachers will not participate in a number of activities until they work out a collective agreement with the province. Wages. The OPSBA says ETFO proposed a three per cent annual wage increase over each of three years, something that would cost $3.2 billion. ETFO denies this, saying it "has not formally tabled any salary position." Class size. ETFO says contract proposals tabled by the Ontario Public School Boards Association (OPSBA) "would allow increases in class sizes." Hiring. ETFO wants to maintain the current contract clause that makes seniority the key factor in hiring decisions. The school boards want to give principals more flexibility in hiring. Preparation time. ETFO says the school board want to direct how teachers should spend their prep time. Notable quote: "Together we are sending the message to the government and OPSBA (the Ontario Public School Boards' Association) that ETFO members will never allow the erosion of our members' working conditions." - ETFO President Sam Hammond. Status: ETFO has been in a legal strike position since May 10.